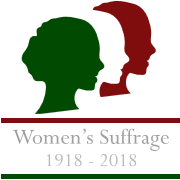 2018 celebrates 100 years since women over the age of 30 gained the right to vote. We will be marking this important landmark by profiling 100 women dental professionals during 2018. We provide free teleclasses to DMUK members. A selection of the CPD provided is listed below. Second UK Mentoring Conference , BDA Headquarters, London. Dental Mentors UK aims to provide support for all dental professionals who mentor in the UK and to increase the profile of mentoring in the UK. We will maintain a directory of dental mentors so that dental team members have a quick and easy way to contact a mentor. Dental Mentors UK is THE website for dental professionals who offer mentoring to access support for this part of their professional practice. The profile directory showcases dental professionals who are also mentors. You may be looking for a mentor to support you in career choices; leadership development or professional issues. Browsing the directory is free to use for those looking for a mentor. Mentees will agree the terms of engagement with their chosen mentor which will include how and where the mentoring will take place and charges for the service. Please note professional mentors will charge a fee. We believe that all dental professionals would benefit from regularly working with a mentor from a personal as well as a professional point of view. Mentors are experienced dental professionals who can guide and support you throughout your career. .